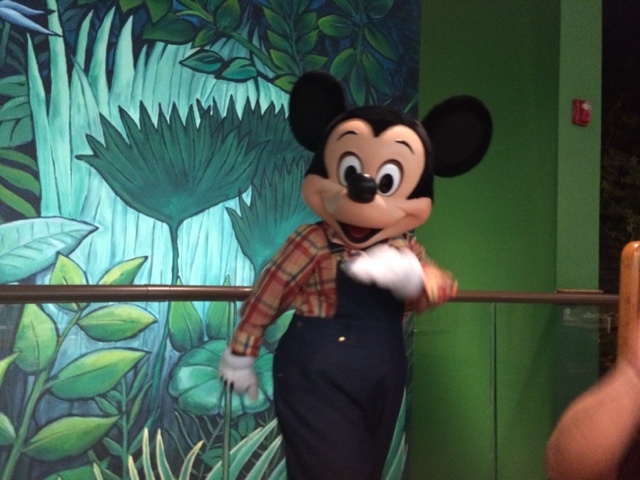 Welcome to Part 2 of Your First Trip to Walt Disney World! Today we're focused on all you need to know about dining around Walt Disney World Resort. This is typically your next big decision following your hotel accommodations (see Part 1 of this blog series for more on picking the right place for you and your family!) When thinking about your dining reservations in Walt Disney World, there are a few big decisions to make. Do I purchase the Disney Dining Plan or not? The Disney Dining Plan comes in three different tiers and may be a great option for your vacation. The latest details on each option can be found here on the Walt Disney World website. I highly recommend thinking about your dining needs and weigh the costs of this plan against the benefits. If you can snag this during a "free dining" deal from Disney, it's of course a no brainer! It's also a great option if you like the idea of an all inclusive price on your Disney vacation where you can minimize out of pocket costs during your actual trip. However, the dining plan isn't cheap. I've only used it once during an adult only trip where we planned several high end meals that only used one table service credit each - making this a great bargain! On our most recent family trip, we opted not to purchase the dining plan because my three year old is such a picky eater, the cost didn't make sense. What's the difference between Table Service and Quick Service restaurants? Table Service restaurants are going to be what you would typically expect in a restaurant featuring a waiter, a menu with multiple courses, and nice surroundings. Quick service restaurants are more "cafeteria" style where you approach the counter to order of a limited menu and then take your food to open seating in the restaurant. There are good choices at each of these levels and your vacation will most likely feature some of each. Do I need to make reservations ahead of time? YES! Table service restaurants offer reservations and you really need to make them prior to your trip. More about the timeline for making dining reservations can be found here, but the simple rule is that they open 180 days prior. More popular restaurants like Be Our Guest, Chef Mickey's, and Cinderella's Royal Table often book up within hours of the reservation window opening while others will feature a lot of availability up until the beginning of your trip. Don't despair though if you can't grab your favorite reservation right away. I've been able to get some great reservations within two weeks prior to the start of my trip by checking the My Disney Experience app frequently! Is Character Dining the right choice for my family? Character meals are a great choice in my opinion - especially if you have young kids! These provide a great way to interact with the characters while getting pictures and autographs too. Some characters will feature long lines in the parks, but you can save time by sharing a meal with them. However, character meals can be expensive. Make sure you look at pricing for the ones you are interested in so that you're not surprised. One of my favorite tips is to book a late character breakfast. You pay the cheapest price of the day and can fill up for lunch too! There are so many great restaurants in Walt Disney World! With so many great options, you only need to do a little research to discover the tasty delights that await you on your vacation!